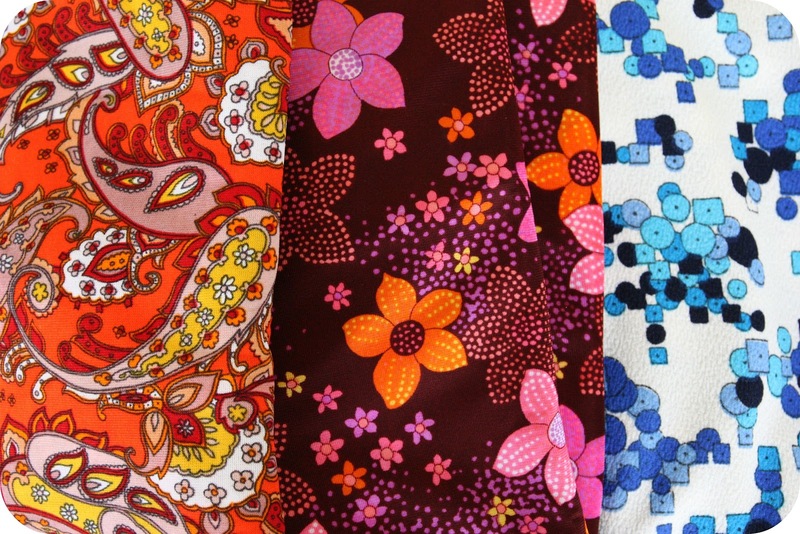 Hello Vintage: Funky fabrics, pyrex and a first. Funky fabrics, pyrex and a first. Hi all! Long time no see. I have been popping in and out of your blogs but have not visited as many as I would have liked to. Haven't done much in the way of thrifting lately just a couple of visits to my favourite op shops. Seems like things have been very busy around here. I have been still been listing on eBay trying to make some dosh for our Melbourne Trip. I will have to start getting into the shed so I can find some more goodies to sell. I have made over $500 so far and this is just listing about three things a week so pretty happy with that. Here are some fabrics I found last week on my way to work. I am so bad, any time without kids is when I op but I am always later to work than I probably should be (luckily we are on flexi time). It does bite me on the bum though when I am still at work at it's dark. I seem to be hoarding fabric and have never actually sold any and don't think I will. I am still hoping to learn some simple sewing one of these days. My Mum started giving my friend and I lessons but it fizzled out. Might have to start them up again. I was going to try not to add to my Pyrex collection unless I found something really special but when I came across this dish for $2.50 it had to be mine because I can't pass up a bargain. And this one had the stand which I don't have any of so it had to come home with me too! Well, that's a not much is it! I have sold the Arabia plate from my last post and all of the Villeroy and Boch. The coffee pot did quite well, I got a bit excited when I saw the ending price! Three weeks ago we were at the beach. Tonight we have a fire going, brrr. Since Picnik has closed I am looking for another site to put together collages so here are just a couple family pics. 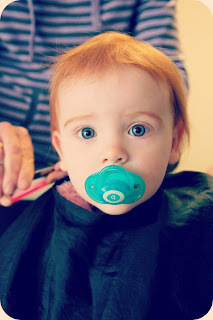 Little Miss had her first hair cut this week. My cousin is a hair dresser and she cuts my hair but I don't normally bother her with the kids. However Little Miss just needed a cut across the back so I asked her. Excuse the dummy she was a little unsure about it all and so I thought it may help. She nearly cried at the end but compared to Master M's first cut it went well. She is looking a little worried in this one. Deer caught in the head lights? That Pyrex food warmer is a dilly! Lucky you to find a unique treasure with all the pieces! And about those two little cuties: #1 Wouldn't you look like that if someone came at you with a scissors when Mama always says, "No No!" when you look at one? 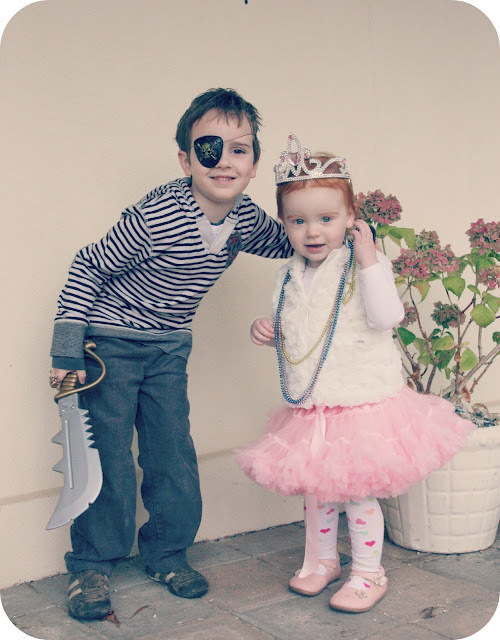 #2 Arggg! i agree, you can never walk past pretty pyrex. lovely finds. I'm hoarding fabric too :) I make handbags, but I really want to learn to make clothes. I have patterns and sewing books, now all I have to do is take the plunge and try something. 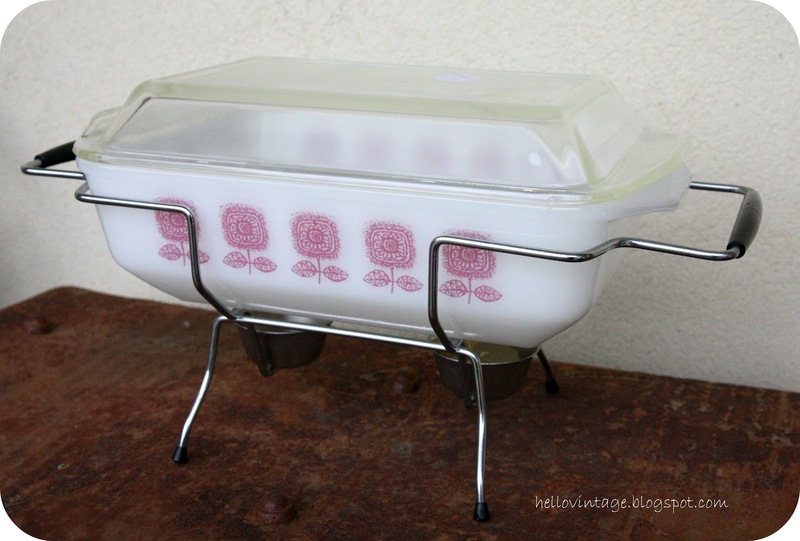 I really love that pink flowered Pyrex! I just found your blog through Her Library Adventures, now following! "Arrrr"...I love that pyrex with the stand! I don't recognize the pattern of either piece, makes me wonder if the world gets different patterns for different continents...anybody know? You couldn't possibly pass up on Pyrex with a stand :-) Even if you don't love the pattern that came with it you can always slot in another casserole. Your little girl has the most beautiful hair ever! First haircuts are traumatic for mums too! Very pretty finds. Beautiful pics of your gorgeous kiddies. 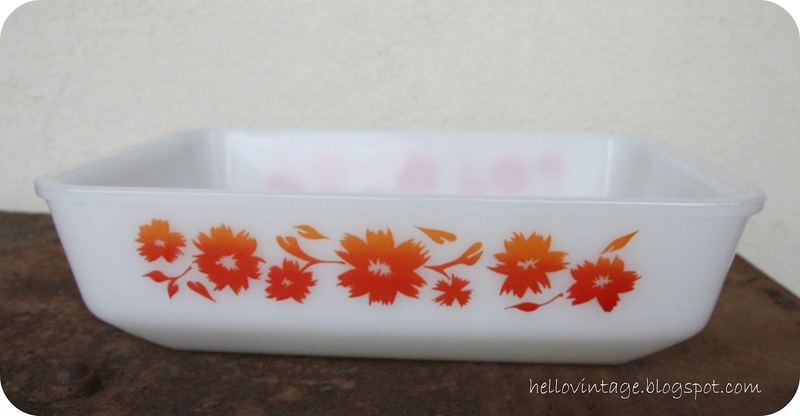 Lovely Pyrex finds too. I love looking at your thrifted wares posts - you always get great stuff. Love love love the pink flowers on the Pyrex!